You may come upon a swarm anytime between April and the end of June, sometimes even into July if the weather conditions are right. If you do don't panic, just call us and we can come and collect for a small fee. We will then take it to our bee site and place into a hive. 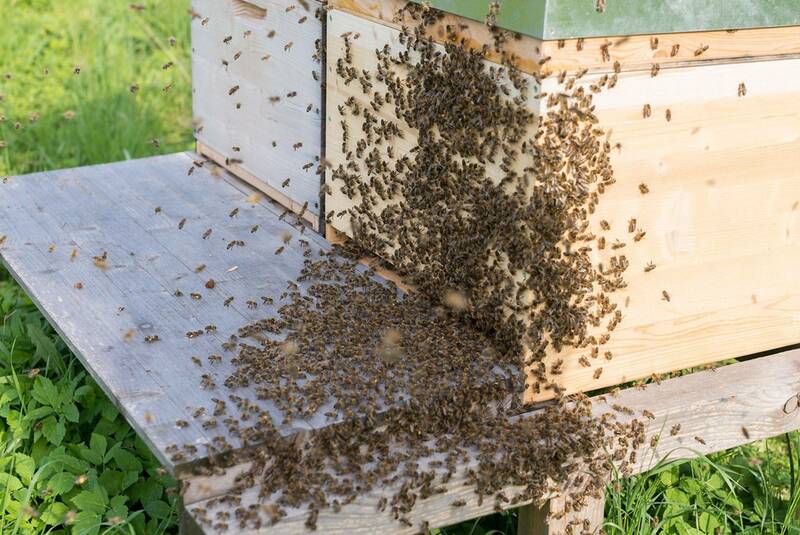 Sometimes the swarm will go into a cavity wall or in a roof space, in this case there is no way to collect the swarm, as once the queen is in the wall, that's where they stay. Best thing is leave well alone until the winter, when they can be dealt with. Sometimes you see the swarm settle and a few hours later they fly off, this is because the queen wanted a rest and the others have settled around to protect her. While she is resting there are scout bees out looking for a new home. Best time to deal with swarms is in the evening, when they are settling down for the night. 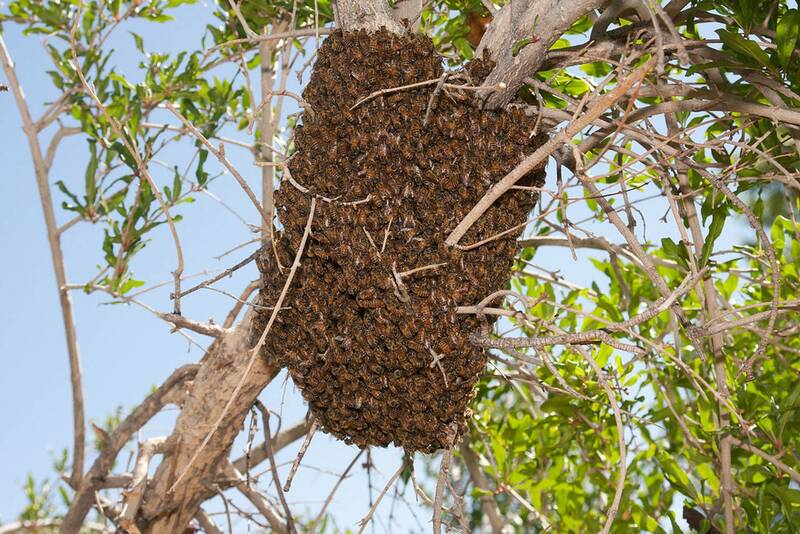 Please contact us if you have a problem with a swarm of bees.